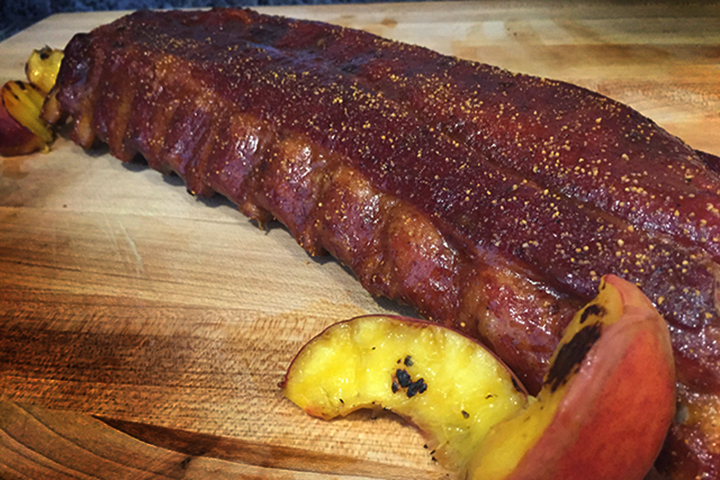 Sweet summer peaches are now in season and it’s also the BBQ season, add some of Tennessee’s favorite and this sweet, smokey and spicy recipe will make you the star of the next summer party. 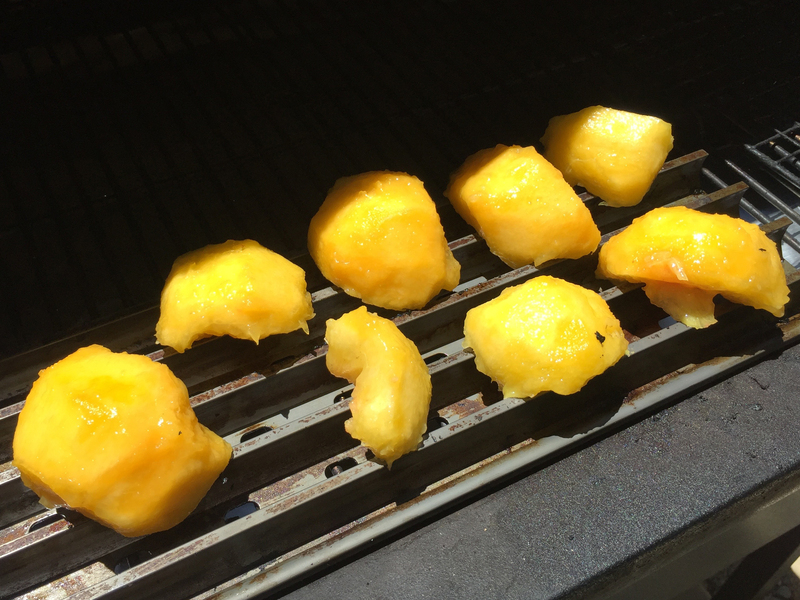 Start by peeling and removing the pit of the peaches, then place on the GMG set at 400f. 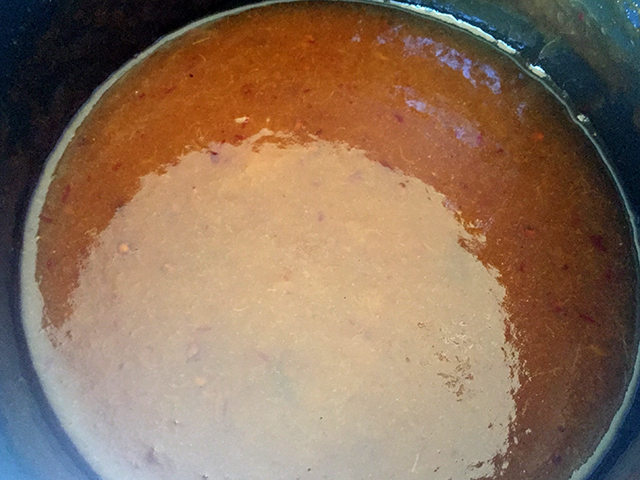 Grill on 1 side for 7 min, remove and place in a stock pot along with other sauce ingredients. 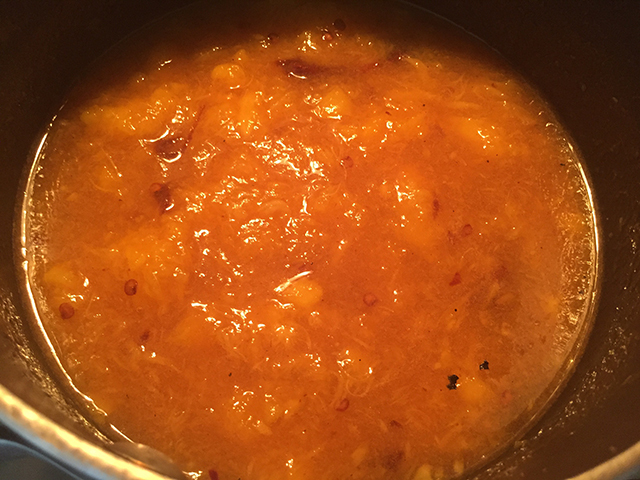 Bring to a boil on the stove and let cool, place the mix in a blender and blend until it has a smooth texture. Return to the stock pot and simmer on low. 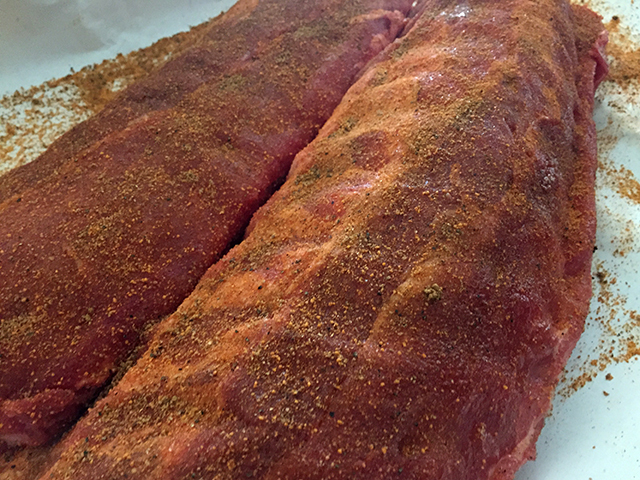 Season the ribs with a heavy coat of GMG pork rub and place on a GMG set at 250f using GMGs Fruitwood Blend Pellets. Cook for 2 hours, at the 2 hour mark use squeeze butter to baste the ribs. Continue to cook for another 2-3 hours or until the bones begin to pull away from the meat and ribs are tender when poked with a toothpick. 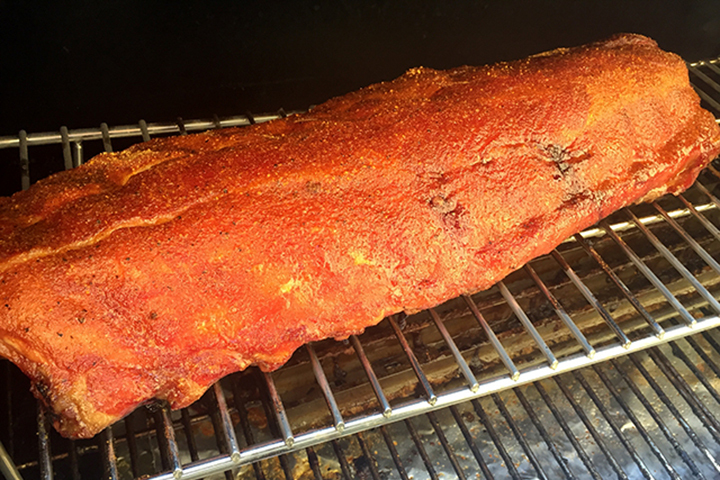 Apply peach glaze and continue to cook for 7 min before applying a second coat of glaze. Continue to cook for 10 min to set the glaze. Enjoy!